When I got pregnant with Boo, it changed how I thought about food. Before, I liked margarine better than butter because it's softer and easier to spread on toast. Now, I only use butter to avoid the unhealthy trans fats of margarine. And I liked Cool Whip better than whipped cream because it tasted better (or so I thought then). Who cares that it's really sweetened hydrogenated veggie oil? One delicious substitution? 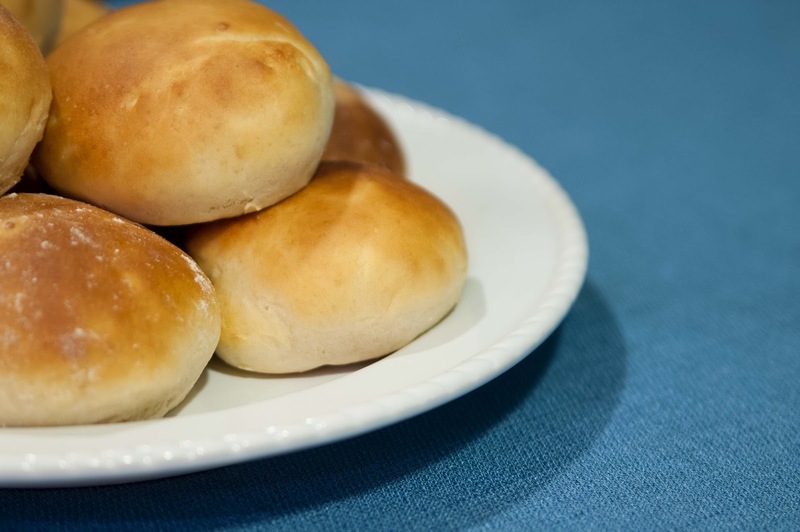 Homemade hamburger buns. I know, why would you spend all morning making hamburger buns when you can spend ten seconds adding them to your grocery cart? Because you don't realize how tasteless the store-bought buns are until you make them yourself. AND this recipe takes less than an hour, including rising (no work needed) and baking (ditto). It is a seriously easy recipe. I mean, if I can do it with Boo awake and "helping," it's an easy recipe. Since it's not my own recipe, I'll just include the link, but be sure to click over and try it! You know you want to. Mmmmmmmm..... I will definitely be making some of these for the 4th of July.